In recent years, the National Labor Relations Board ("NLRB") has been cracking down on employers who prohibit or otherwise try to prevent employees from talking about their compensation. Under the National Labor Relations Act ("NLRA"), employees are allowed to discuss their terms and conditions of employment, which includes discussions about employee salaries, commissions, bonuses or other types of compensation. Employers trying to limit these types of discussions (whether in a handbook policy or by disciplining employees who disclose information about their level of compensation to others) have run into trouble with the NLRB and have been sternly reminded of their obligations with respect to pay transparency. Following the NLRB’s lead, the Office of Federal Contract Compliance Programs ("OFCCP") has raised the stakes on pay transparency for federal contractors (employers who have entered into a contract to perform a job, supply labor and materials, or otherwise sell products and services to a department or agency of the federal government). As previously reported by Koley Jessen, OFCCP’s final rule on pay transparency went into effect on January 11, 2016 and will require action by federal contractors to remain in compliance under OFCCP regulations. To briefly recap, President Obama signed Executive Order 13665 in 2014 to address pay transparency in the workplace. The idea behind E.O. 13665 was to provide protection for employees in terms of being able to discuss information regarding their compensation without reprisal. OFCCP issued a final rule to implement E.O. 13665 on September 11, 2015. Under the rule, federal contractors may not discriminate or take adverse action against employees or applicants who either ask about or discuss their compensation or the compensation of others. Employees who feel that they have been retaliated against for such discussions may file a claim of pay transparency discrimination with OFCCP. The rule provides two defenses for federal contractors, which allow for discipline in the following circumstances: (1) where the employee has disclosed otherwise confidential information learned through their performance of an essential job function (e.g., an accounting employee who gains access to the salary information of other employees); or (2) where the discipline is for violation of a separate company policy regardless of whether a discussion of compensation was occurring at the same time (e.g., an employee disciplined for taking an excessive break even though they were discussing their salary while on the break). Federal contractors should ensure that their handbooks and jobsite postings are appropriately updated to maintain compliance with E.O. 13665. Non-federal contractor employers do not need to add the above statement to their handbook or otherwise take steps to comply with the new OFCCP rule on pay transparency. However, given the scrutiny which pay transparency issues are currently receiving, and NLRB’s renewed focus on enforcement efforts, all employers should consider discussing pay transparency issues with their management teams. This will help ensure that all potential decision makers have a clear understanding of the rules applicable to employee conversations about compensation in order to avoid potential violations under either the NLRA or OFCCP regulations. 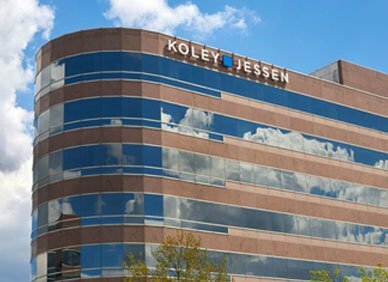 To further discuss the new pay transparency discrimination rules or general information regarding NLRA or affirmative action compliance, please contact a member of Koley Jessen’s Employment, Labor and Benefits Practice Group.